Welcome back to the second week of the 2017 Virtual Curriculum Fair. It started with a French lesson. When my youngest daughter began studying the French language, she also began her study of other things French, especially French food. She made baguettes and chicken cordon bleu, and our family enthusiastically welcomed each of her cooking projects. And then she decided, right before her 16th birthday, that she wanted an authentic French macaron. Take my word for it, they aren't easy to find, at least near where we live. I even searched online. We tried the colorful ones from Sam's, and then were disappointed when we finally found a French bakery that theirs looked just like the ones from the warehouse club. We've now visited three French bakeries, yet none of them carry French macarons. So what's a girl to do? She decided to make them herself. And she just keeps getting better at it. 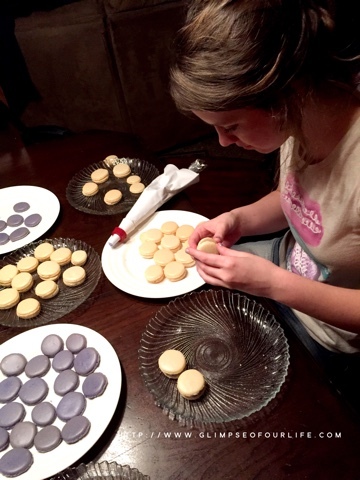 Since she started, each very special occasion has included her homemade macarons. She matches the halves, researches buttercream, and keeps trying new recipes. This macaron baking has just gotten better and better over the past two years. Her sister even got lavender macarons for the reception at her senior recital. 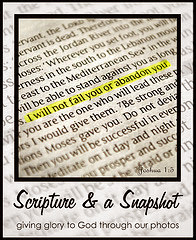 The picture below is a screenshot of one that she shared after a batch turned out just right. You can feel the excitement in her success as you read her words. One morning, as my daughter prepared the kitchen for another batch of macarons (for serving with tea with friends,) she began telling me about aging egg whites and just the right peaks in her meringue. I realized that her lessons were exactly what I'd been wanting--self directed and ongoing. I had very little to do with her making macarons, though when I noticed how much a clean kitchen inspired her to cook, I was even more motivated to keep our kitchen clean. 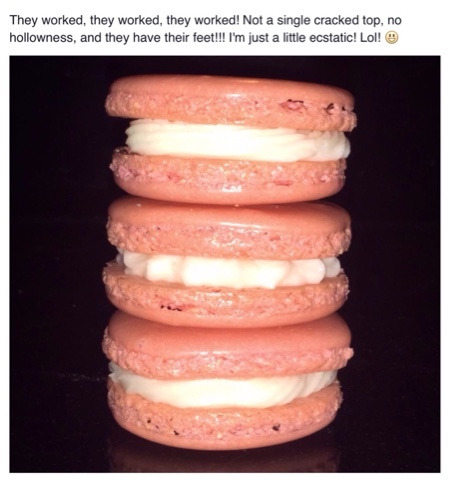 She has researched at length just how to get feet on macarons, and she has tried ingredients I've never cooked with. As we browsed Craftsy's clearance sale, she found food coloring powder and we discussed plans to use the laser for stencils to make them even more unique. So are you wondering just what this has to do with language arts which is our Virtual Curriculum Fair topic this week? Just this...there aren't classes to rotate though in our homeschool with books changed out in lockers differentiating between chemistry and creative writing. It is so vastly different from what my education was and what her friends in public and private schools are now experiencing. We don't have to focus on just one class at a time. When my daughter shows an interest, I encourage her to pursue it. She wants to go to Paris, but she let me know just Paris wasn't her plan, that all of Europe would be exciting to explore. I agree! We'd all love a trip like that. I laughed with my mom as we dropped the girls off for orchestra practice as we turned onto Paris Avenue that I was making my daughter's dream come true. 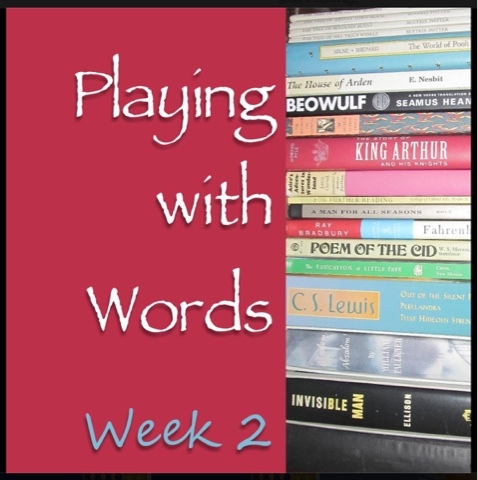 Visit our host Susan and all of the other homeschool moms sharing about language arts this week. Get ideas and inspiration, then determine what is best for each of your children. And if you came here looking for curriculum recommendations, Bridgeway and IEW were the best grammar lessons for this daughter's learning style. (All three of my children learn differently, and I've chosen different tools through the years for the other two.) Both of those selections were reviews, so use my search bar on the right if you want more details about those resources. Or ask me. Today we made tiramisu with lady finger cookies imported from France. The recipe called for six egg yolks, so it seemed perfect to set aside just enough egg whites for my daughter to make macarons. She's planning to make them Tuesday, so a tea party will be planned later this week. Let me know if you can drop by. I will even show you our favorite language arts resources. My son does occasionally join the tea parties, but if not we still share the sweet treats with him. Those look yummy! I love how homeschooling gives kids the freedom to learn what they will use later in life. They are! Yes, including practical purposeful skills just makes sense. Thanks Annette! They are mostly almond flour, egg whites, and powdered sugar. Great post, Jennifer---yes, she's fulfilling her passions and following a dream. How better to learn? Right. I want all three of my children to continue to research, learn, and apply their knowledge, and yes to follow their dreams. I love this post! I love interest-led learning, and I'm trying to make sure I keep that same passion lit in my kids! Interest led--yes, that makes it so meaningful.